When and where Tiler Peck was born? Tiler Kalyn Peck (born January 12, 1989) is a professional ballet dancer who is a principal dancer with the New York City Ballet. She is noted for dancing at the Kennedy Honors ceremony twice in front of President and First Lady Obama. Born in Bakersfield, California, Peck started her studies at her mother´s ballet studio in Bakersfield, at the age of two. She started her formal training in classical ballet at the age of seven when she received private lessons in Hollywood from Alla Khaniashvili, a former dancer with the Bolshoi Ballet. Later, she began to study with New York City Ballet dancers Colleen and Patricia Neary in California. During this time she enrolled at the Westside School of Ballet in Santa Monica where she studied with NYCB principal Yvonne Mousey and learned the Balanchine technique. 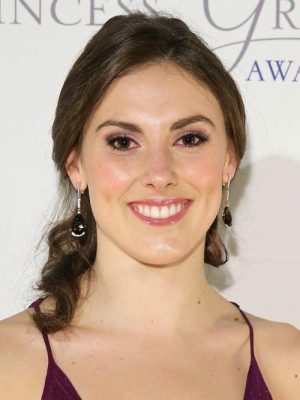 Tiler Peck married New York City principal ballet dancer Robert Fairchild, on June 22, 2014 in New York. The couple separated in 2017. How tall and how much weigh Tiler Peck?